For those of you who remember by Rocketeer illustration and the halftone angle I went with that (for those not familiar or want a refresher: Here you go), I decided to take the same approach to hockey in hopes of merging two of my favorite interests. I also absolutely love how the figure balances on skates and how the weight of a hockey player is distributed. 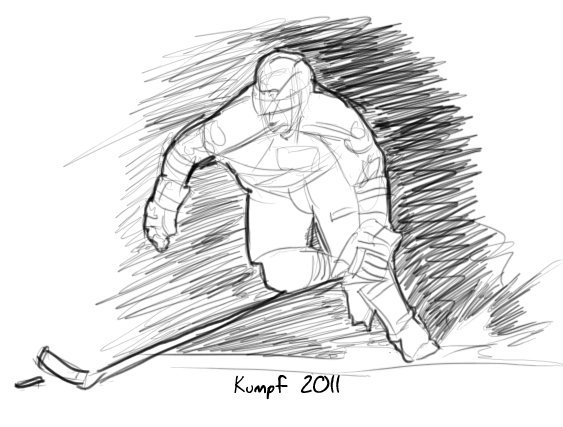 So this was just a quick sketch to try and get form down since hockey is incredibly hard to turn into a still picture. These are from a Mythology project I was involved with where a group I was involved with had to make a creation myth. There was input all over so I forget where some ideas came into play but I absolutely love the connections between deep space and deep sea. So working with space squids was a blast. 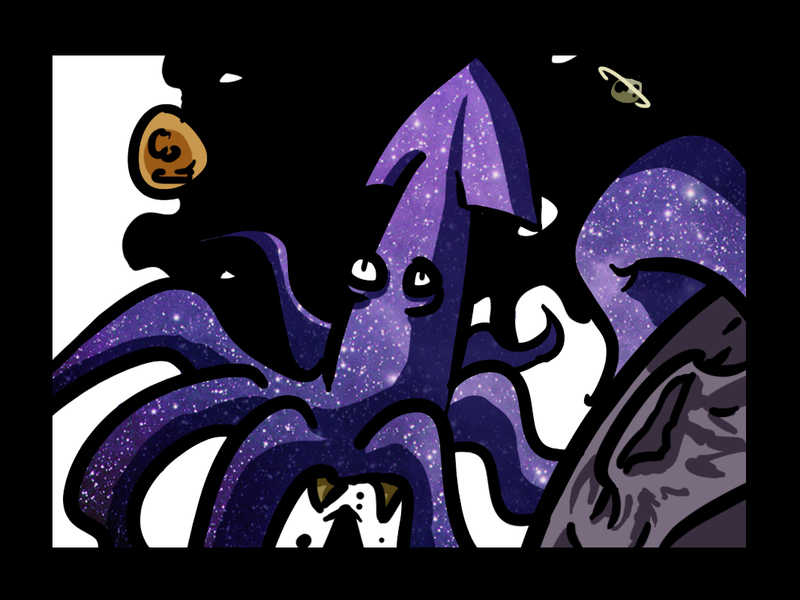 Also, I remember wanting to create the most off-the-wall creation myth ever with space squids, robots, time travel, star gates, and whatever. So that's the reasoning for these.